Getting teed off while on vacation is a good thing if you happen to be on Hilton Head Island – one of the world’s top golf communities. It’s sunny skies, idyllic climate and lush tropical vegetation make for a golfer’s paradise, beckoning players to its impressive collection of courses. Select your idea of “a good walk unspoiled” and make your reservation for a tee time now! Hilton Head’s local golf package specialist. 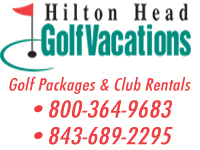 Hilton Head Island golf and accommodations packages. 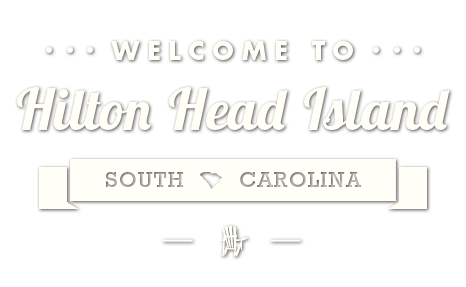 Let us customize your Hilton Head golf package. Our golf package specialists will package together the golf courses you want to play with the accommodations that suit your needs and budget. Golf only packages and TaylorMade club rentals also available. See coupon page for Special! Last spring, two gentlemen from Minnesota met on the pickleball courts at Palmetto Dunes Pickleball Center and quickly discovered that they played at the same local pickleball club and in the same men’s senior golf league back home. They are back this year and reported that they have connected in Minnesota for dinner, furthering their friendship off the court. This year, there was a similar occurrence. In one of the round robins in February, two ladies were put together to play as partners. After hearing screaming and shouting, we learned that the celebration was the result of two sorority sisters reconnecting after 40 years. As the story unfolded, it seems that Mary Beth and Cindy were in the same pledge class in 1979 at Bowling Green State University in Ohio. After exchanging contact information, the team went on to beat their opponents handily. Round robins at Palmetto Dunes have been described by those who play regularly as the best two hours of social fun on Hilton Head Island. We have 10 round robins each week – every morning from 10 a.m. to noon, and Tuesday, Wednesday and Thursday afternoons from 3-4:30 p.m. Each round robin is pro-supervised, and our goal is to have everyone playing at their skill level within the first 20 minutes, so matches are both competitive and social. Check out the comments by fellow pickleball players on TripAdvisor, Yelp or Google by searching Palmetto Dunes Tennis and Pickleball Center. Hope to see you on the courts soon! For more information, visit www.PalmettoDunes.com/Activities. To reserve a spot in a clinic or round robin, call (866) 242-3169.